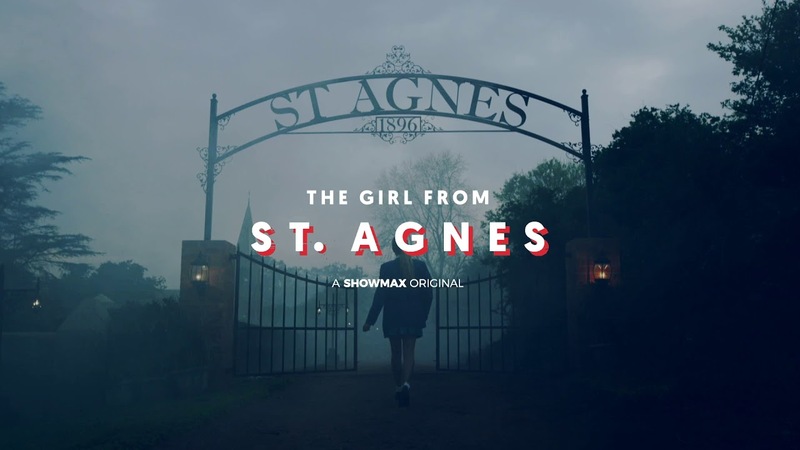 TV with Thinus: Showmax again claims video streaming viewership records - this time for The Girl from St. Agnes; declines to provide any actual numbers. Showmax again claims video streaming viewership records - this time for The Girl from St. Agnes; declines to provide any actual numbers. MultiChoice's Showmax is again making boastful claims about viewership records for its subscription video-on-demand (SVOD) service in South Africa without giving any numbers, and declining to do so when asked. Showmax, competing locally with Netflix South Africa, says in a press statement that its new local drama series, The Girl from St. Agnes, has beaten out Hollywood heavyweights as well as Showmax's previous original series, Tali's Wedding Diary, to become the most-watched show on its debut". Showmax says "the number of unique viewers in the first 24 hours exceeded that of the previous record-holder, Tali's Wedding Diary. In addition, the number of views was more than double that of the most popular Hollywood series on its debut". Showmax fails to provide any viewership numbers or statistics for "the record" number of viewers who watched The Girl of St. Agnes, and also doesn't provide any numbers for Tali's Wedding Diary, or the "most popular Hollywood series" that the new show is being compared to. Candice Fangueiro, head of content for the Connected Video division of MultiChoice, says in the Showmax statement about the viewership record citing no actual numbers to substantiate the claim or to add credibility or a real-world reference point between its shows, that "we're over the moon". "This shows without a shadow of a doubt that local content is a major differentiator, and it also shows that African productions can not only hold their own against the best in the world but they can actually come out on top". TVwithThinus asked Richard Boorman, Showmax spokesperson, for help for the numberless Showmax viewership claims. Showmax's response is "we still don’t disclose the absolutes". Showmax appears to be taking its cue of not wanting to release viewership numbers from its global SVOD service competitor, Netflix. Netflix only recently started releasing limited statistics and ratings information, making it difficult if not impossible for marketers, producers and the rest of the TV industry chain to make judgement and place values on streaming services and shows' successes and failures. Earlier in the week in the United States, John Landgraf, FX Networks CEO, slammed Netflix for its secretive approach to ratings and viewership numbers, as well as its selective, and in his opinion, misleading number press releases. John Landgraf also criticised media and reporters who publish and republish the limited-numbers and numberless programming performance information from streaming services like Netflix. John Landgraf said that streaming services like Netflix are deliberately and intentionally confusing journalists and the public to make as if new shows or films are breaking records and luring massive audiences "which would mean it's the biggest hit on TV". He advised journalists and media outlets to refrain from accepting the "cherrypicked and unverified data" issued by streaming services like Netflix. "Because Netflix doesn't report Nielsen numbers, we are hard pressed to know what is real. It's just not a good thing for society when one entity gets to unilaterally make the rules or pronounce the truth," John Landgraf said.